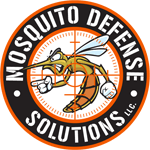 Mosquito Defense Solutions offers a great alternative to the traditional mosquito misting system. While misting is still the best known method for controlling mosquitoes, there is now a close runner up! Mosquito Fogging treatments are designed to provide instant relief from mosquitoes and also helps to reduce other biting insects such as Ants, Fleas and even Ticks in some cases. This method of control is considered a “temporary” but very effective for people who are not quite ready to invest in the more “permanent” solution of the misting system. This type of treatment can be used as a “one-time” event or an ongoing “monthly” program. Each treatment has immediate results which last somewhere between 21-25 days. The popularity of the Fogging treatment has double in the past few years primarily due to its low cost and high effectiveness. MDS offers 4-different program schedules to meet your needs. Call or email us today to discuss which is best for you. For ongoing Mosquito control or for an outdoor event Mosquito Fogging and control might be your best solution.